German premium car makers Daimler and BMW are planning on merging their car-sharing businesses in an attempt to win the race of mobility with the companies in the Silicon Valley. Daimler and BMW will cooperate in an array of apps and services that provide transport options for those who do not own a car. The companies will have equal shares in the joint venture. Longtime rivals, the car makers are now changing history. Afraid of being overwhelmed by the financial power that the new tech competitors have, they decided to join hands. Alphabet, Google’s parent company that is investing in the development of the autonomous car technology, beholds a stock market value 10 times stronger than Daimler’s. Therefore, BMW’s DriveNow and Daimler’s Car2Go, basically car rental services controlled by smartphone apps, will help customers get taxis in time, find parking spots and charge electric vehicles together. “As pioneers in automotive engineering, we will not leave the task of shaping future urban mobility to others,” Dieter Zetsche, the chief executive of Daimler, stated. Carmakers across the world, involved in mobility, are trying to beat companies such as, Zipcar, Uber and Google, that try to defy the auto industry by sending autonomous vehicles onto the road. Lately, an Uber car has been involved in a fatal accident that ended with the death of a woman that was crossing the street beside her bicycle, so the company temporarily suspended testing. The incident brings a shade of distrust over the tech expert companies. 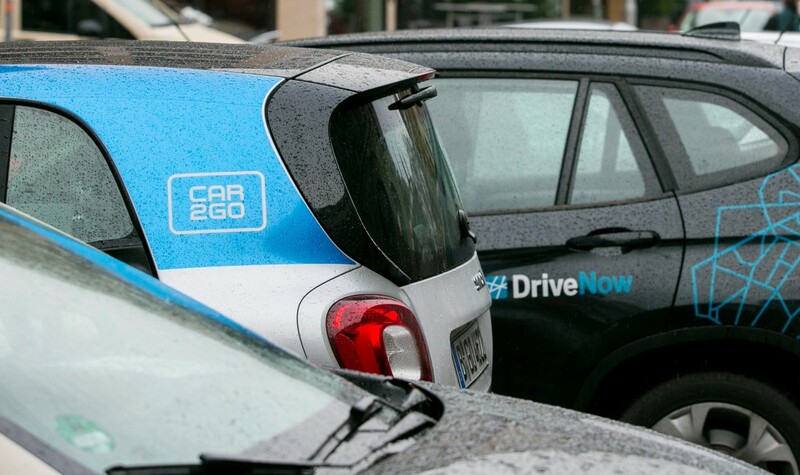 Meanwhile, the car-sharing business initiated by BMW and MINI for customers across Europe, DriveNow, lost 34 million Euros on sales of 142 million Euros in 2017, according to the annual report drafted by BMW. The Munich-based carmaker is now hoping that the alliance with the longtime rival will open new doors. BMW’s electric car charging network that covers 143,000 charging points worldwide. Daimler’s MyTaxi app, allowing users to order and pay for registered taxis. Yet the agreement does not mean an alliance in terms of premium cars for the two rivals. “The planned merger of our mobility services will pool our resources and sends a strong signal to our new competitors”, says Harald Kruger, chief executive of BMW. Both carmakers are hoping that they have just started the road to profitability.